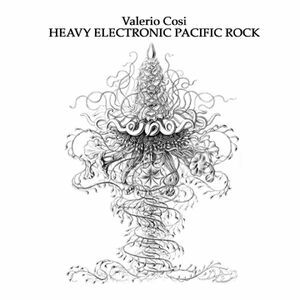 The particular album of his that I return to again and again is 2008’s ‘Heavy Electronic Pacific Rock,’ though I have time for all of the music I’ve heard by him. The album in question is just the most entrancing, hypnotic collection of music I’ve had the privilege to hear. ‘Study for saxophone and electronics,’ the 20-minute opener, starts with a repetitive sax riff, which gets transposed, altered, added to and harmonised over with such imagination; it is both spacious and dense, a fully formed sonic entity which is probably more conscious than I (which is why, like all conscious living beings, it can be aware of and embrace its paradoxes without imploding). It is a guaranteed portal into another realm, should such imaginative excursions be to your liking. The three following tracks are equally brilliant, although each one is unique stylistically, as different from each other as they are from my overly mystical description of the first track. I cannot praise this stuff highly enough. Unfortunately, I’m not having much luck finding a page where you can listen to the album so you can see whether you agree with me or not, a problem I expect to find with the older releases I suppose. If I had the money and/or time, I would set up a digital library where you could listen to all this stuff (indeed, all stuff). As it is, there are probably other ways that the more imaginative and free-spirited amongst you can try to get a listen. He seems to have been active again relatively recently, as he now has a bandcamp page, and now I’ve seen this I know what I’ll be listening to later. I make no secret of my love for this platform, primarily because you can listen to an entire album before committing to buy it. It’s the ultimate marketing tool for people whose music is good!